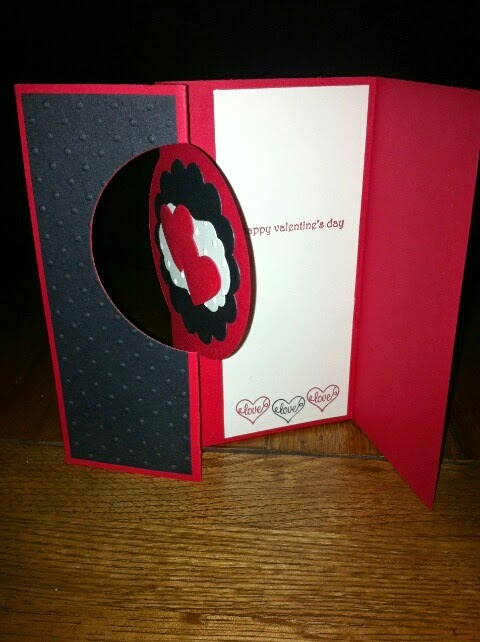 So although I don't really celebrate Valentines Day, I couldn't resist making a card with my reasonably new Thinlits Circle Card for from Stampin' Up! 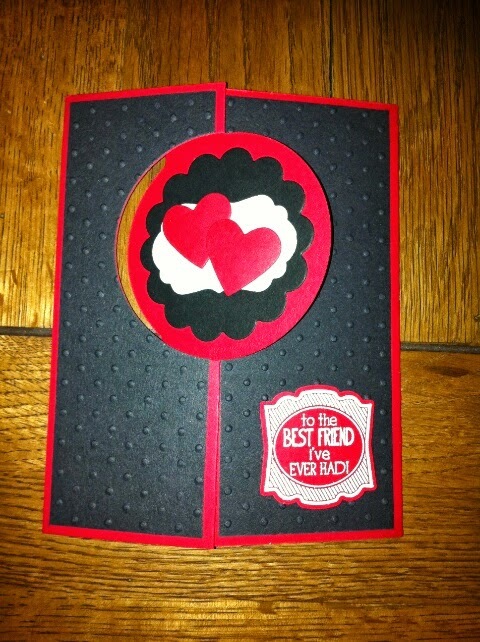 I've used a couple of Stampin' Up! Stamp sets too... 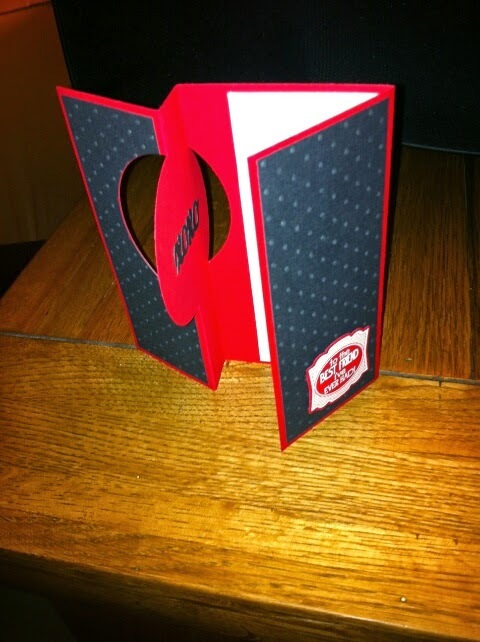 Here the opened card..